If you ever wondered about the quality of the wheels we sell here are some of the accreditations from the world best. 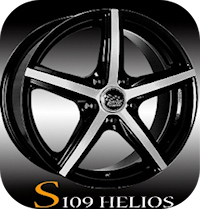 You can be assured to ride on top quality wheels from us at reasonable prices. widely known as ISO, is an international-standard-setting body composed of representatives from various national standards organizations. Founded on February 23 1947, the organization promulgates worldwide proprietary industrial and commercial standards. It has its headquarters in Geneva, Switzerland. While ISO defines itself as a non-governmental organization, its ability to set standards that often become law, either through treaties or national standards, makes it more powerful than most non-governmental organizations. In practice, ISO acts as a consortium with strong links to governments. All testing equipments and standards are made in accordance with JWL (Technical Standard for Light Alloy Disc Wheels), JWL-T (Technical Standard for Light Alloy Truck and Bus Disc Wheels), certified by VIA (Vehicle Inspection Association, Japan). Technical Standard maintained by: Euro-Asian Council & CIS for Standardization, Metrology and Certification. Click on the next image for bigger view! NOTE! 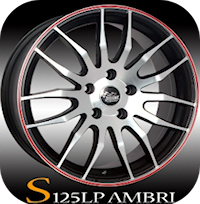 : There are many more different design in a lot of color Stamford Sport Wheels and Stamford Wheels available in a lot of size. The selection vary from time to time. Contact us for more details. All of our tires are available in complete (rim + tire) balanced sets for your convenience. You can also pick them up or have them delivered to your door by UPS. The buyer pays the actual shipping cost. 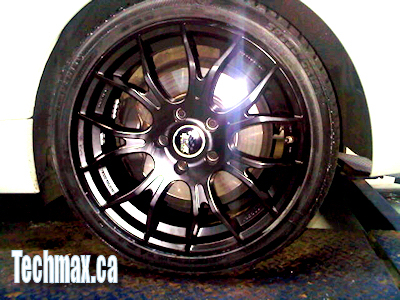 Complete sets include, 4 rims, 4 ultra high performance all season radial tires, 4 stainless steel chrome valves. Please be advised, there are limited quantities are available. The prices below are valid for stock items, first come - first serve basic only! Note: All of our prices are in Canadian Currency. The prices shown may change without any prior notice. Winter tire package on 135-i 2008 BMW. It's an SSW monoblock motorsport light weight flat black wheel. The tire at left is 18" and available in 17" as well. Fits 335,135 and most other 1 or 3 series. The SSW Monoblock will fit the 135 and the 335-i with the massive brake calipers and they are lightweight and very good looking as well. The tire is Semperit Speed Grip (Alpine tested) performance winter, V rated. Semperit is owned by Continental Tire AG. Semperit is an Austrian tire company. Click on the image for larger view. Also Yokohama tires are available too. | Go Back | Click on the thumbnails for more details. Advantages of 3 pieces wheels. The outer rim obtained by sheet turning, has high mechanical characteristics and can have extremely reduced thickness, thus reducing the weight of the wheel considerably. In this way a better weight resistance ratio is obtained, as against traditional channels. The outer channel more over, has ribbed rim that makes for higher rigidity and resistance to ovalisation and impact. Three pieces wheels guarantee maximum customization, expressed through the possibility choosing the size of the flange, the chamber, the width of the chamber, and the depth of the rim. 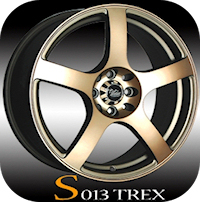 OZ wheel tailored to fit European and other luxury cars with impeccable style. OZ wheels come with aluminum valve. Aluminum valve is lightweight and help to reduce wheels balancing problems. OZ offers a line of extra deep rim applications for rear wheels. On those versions, the concave design gives the wheel even more volume and depth, a "3D effect". The spokes do all the way to the core of the wheel, so they are longer, compared to the standard models. A great combination of strength, lightness and ductility. The mechanical and physical strength characteristics of forged wheel are equality distributed throughout the wheel on the molecular level. The result is far greater strength and resistance than an equivalent cast wheel, vastly improving the performance of the wheel when faced with impacts and high levels of road stress. The spokes are grooved along the side edges. It is a technique used for racing wheels, where the spokes are milled to further reduce weight. The wheels look leaner and more elongated. The HLT technology couples lightness and resistance, necessary to pass the strictest test. The HLT wheels (High Light Technologies) are developed with highest technologies derived from the experience gathered in F1 racing and in the main world racing events. Thanks to channel coating it is possible to obtain technical characteristic similar to a forged wheel, drastically increasing resistance, with consequence reduction of the weight of the wheels. Quality also means safety. TÜV certifications are one of the highest levels of guarantee for automotive products. All OZ wheels are TÜV certified. OZ products consistently been sold in many countries, for example in Germany too. In Germany such systems are in force, complying with all the quality and safety standards and voluntary passing the LBF or biaxial test - the most complete test that most closely simulate actual behavior of the wheel. All OZ wheels come with this certification, this is the only way you can be sure of the true value of your wheels. The technologies and materials used for manufacturing of modular wheels allow vehicles to reach the highest performance standards, associated however to maximum safety on the road. 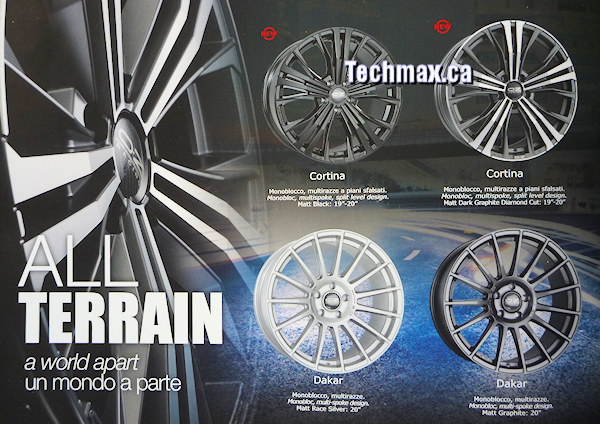 OZ offers a line of wheels with a central look for Porsche applications. The center locking assembly is formed by an anodized aluminum ring that bears a laser engraved OZ racing logo. The method of attachment is drawn from racing wheel technology. In the aftermarket, OZ is one of only a few wheel manufacturers to make central lock wheels. Contact us for more details at 905.795.0419. We are more than happy to answer any of your related questions! Click here for bigger picture!